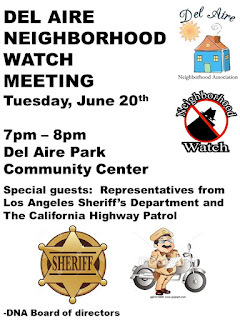 We will have our next Del Aire Neighborhood Watch Meeting this coming Tuesday Night at 7pm. 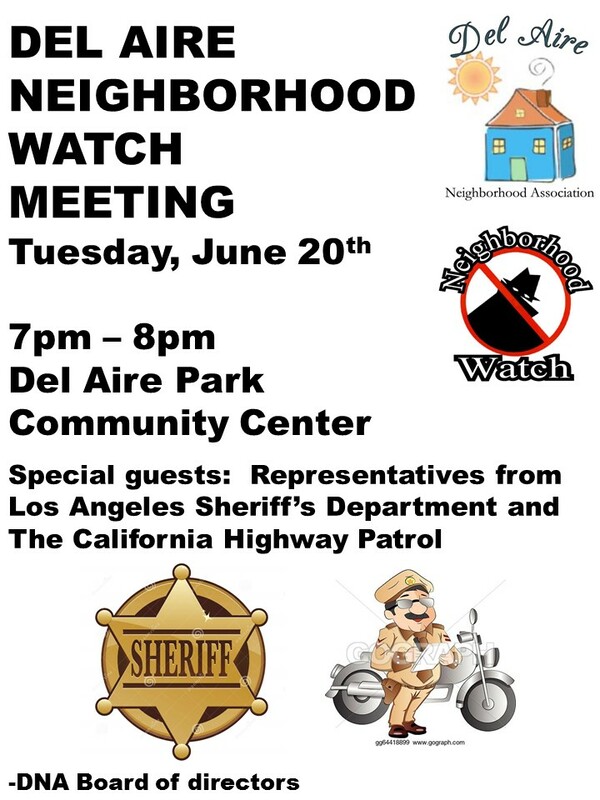 That is why we have invited representatives from the South Los Angeles Sheriff’s station and the California Highway Patrol to join us. They will be available to answer your questions and concerns. If you have specific issues about a crime or violation, it would be helpful if you prepare some information in advance. Perhaps have some pictures to show or a map of the area of concern. If we have time remaining, we will continue our discussion of way to better defend ourselves from criminals.